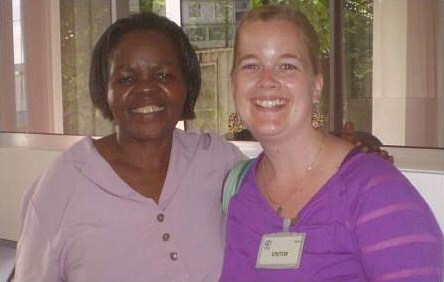 During the summer of 2011, I participated in the Global Health Office’s Tanzania Summer Program. It was a formative experience, shaping and influencing my nursing career path and fueling my dreams of working in global health. When I left Tanzania in 2011, I vowed I would return, sooner rather than later. It was meant to be and I returned to Tanzania as the Team Leader for the Tanzania Summer Program 2012. As the Team Leader, I arrived ahead of the students to ensure arrangements were confirmed for a week of Kiswahili language lessons and that the GHO partners (TTCIH in Ifakara and PASADA inDar Es Salaam) were ready to receive the students for their clinical placements. Returning to PASADA, the organization that hosted me for my clinical placement in 2011, was like returning home. I was greeted with a warmth and sincerity which fuelled my excitement for the arriving students to begin their placements there – I knew they would be welcomed and encouraged to partake in all aspects of the care provided to the patients of PASADA. Returning to Tanzania for the second time and in a role of leadership, I reflected a lot about the importance of leadership in nursing – recognizing the global and local need for nursing leadership, and considering the similarities and differences of nursing leadership cross-culturally. The theme of nursing leadership is one that has remained with me since my return from Tanzania, specifically the importance of leadership within the discipline of nursing but also the positive contributions that nursing leadership can bring to interdisciplinary collaborations. The highlights of this recent trip to Tanzania were the meetings I had with two Tanzanian Graduates of Dalhousie’sSchoolofNursing. It was tremendously inspiring to meet each of these women who have made significant contributions to nursing in Tanzania. I have admired the work of Rose Mlay, National Coordinator of the White Ribbon Alliance of Tanzania, for several years and was particularly delighted to have the opportunity to meet with her and to listen to her fond memories of her time as a student at Dalhousie’s School of Nursing. I am very grateful for the support of the Global Health Office and the opportunity to return to Tanzania this summer. Unsurprisingly, as I left Tanzania this second time I made the same vow that I did when I left in 2011 – I will return again, sooner rather than later.